It's been a while since I've made a purely Disney-related update (I know I know, you're going to say it's been a while since I've made ANY update)... but I like this stuff. This weekend is every Disney fan's dream for new information about upcoming events and happenings. The D23 Expo will be occurring this weekend in Anaheim, a convention where Disney often releases all of the news and excitement of things they're planning for the upcoming year and beyond. In conjunction with this, today we have the release of the first set of Pixar themed postage stamps from the USPS. The Send a Hello series features images from 5 classic Pixar films (Cars, Ratatouille, Toy Story, Up, and Wall-E). In other news, we've heard rumors of Disney's "NextGen" project for years now, but only find out pieces here and there about what it consists of. 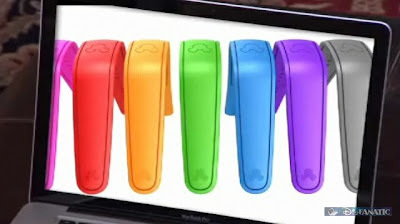 One of the latest tech pieces to be discovered is the future plans to use fancy RFID wristbands for resort guests. An article over on dizfanatic.com goes over just some of the uses for this technology, including room keys, park tickets, fastpasses, photo pass, and all kinds of other interactive whosawhatsits. Pretty neat idea, it'll be interesting to see how this works out once they implement it at some point. In my own news, I'm looking forward to yet another trip to Disney World this October. Few people understand my obsession insatiable enjoyment with going to Disney theme parks. It's not that I always go on vacation there exclusively -- as you know from my blog here I go lots of different places. But I do like the ultimate carefree not-thinking-about-the-outside-world aspect to going to a Disney theme park. This trip should also be interesting because I'm going during a different time of year than I have in the past. 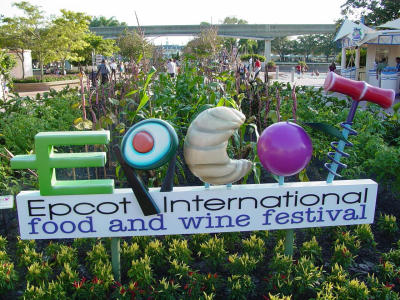 I'll be there during the Epcot Food and Wine Festival, an annual month-long event where Epcot becomes a giant food festival, with additional food stands set up all around the World Showcase, presenting foods from the various countries, as well as plenty of other special events and guests. Additionally, the Magic Kingdom will be decked out for the Halloween holiday. I've been to Disneyland during Halloween season several times, and it's always fantastic. I've always been a big fan of Halloween, so maybe I just enjoy those decorations a bit more than usual. That's the news that's fit to print for now.